We've covered A Story of Rats before (here), and I am more than happy to write about them again, because in the case of this record, titled Vastness and the Inverse, they've really outdone themselves. A Story of Rats is primarily Garek Druss, but Garek had a lot of help in making this record, and what he and his cohorts have created is a powerful and unique drone record that I think captures the essence of A Story of Rats and that really perfects the sound that Garek has been working on for all of these years. Using amazing percussion from Andrew Crawshaw to set the stage, Garek employs a diverse blend of synthesizers, organs, vocals, and electronics to start the show. And this record is by all means a show; if you turn off the lights, close your eyes, turn up the volume and go where this record takes you, I think you'll find yourself mesmerized by the lights and visuals that this record can no doubt create in your head. And you should be delighted to be on a journey with no real destination, as these two side-long songs weave together pensive stories of the esoteric with a deeply mournful and religious vibe. It's a tremendous LP presented in a gorgeous screen-printed fold-out cover featuring black and a few other shades of grey. A simple package with some rather ornate and mysterious artwork that really seals the deal. 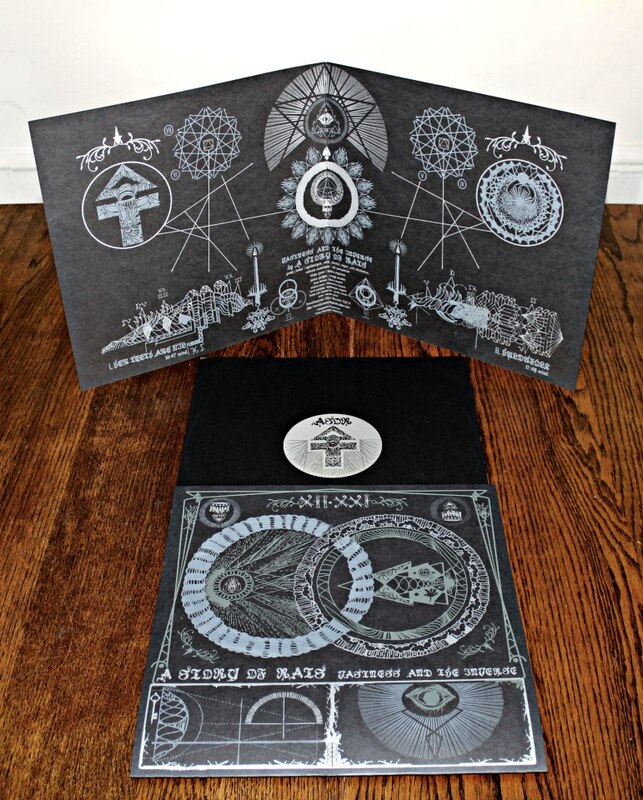 Engineered by Blake Green from Wolvserpent, and mastered for vinyl by James Plotkin. You can hear excerpts from both songs, as well as pieces of the rest of A Story of Rats discography at their Bandcamp page, and you can buy the LP from the fine folks at Translinguistic Other. While you're there, you should also pick up the new Midday Veil record, which is absolutely mind-bogglingly good. I'll be reviewing that one soon, but if you like seriously heavy, moody psychedelia, you've got to get on that record ASAP.